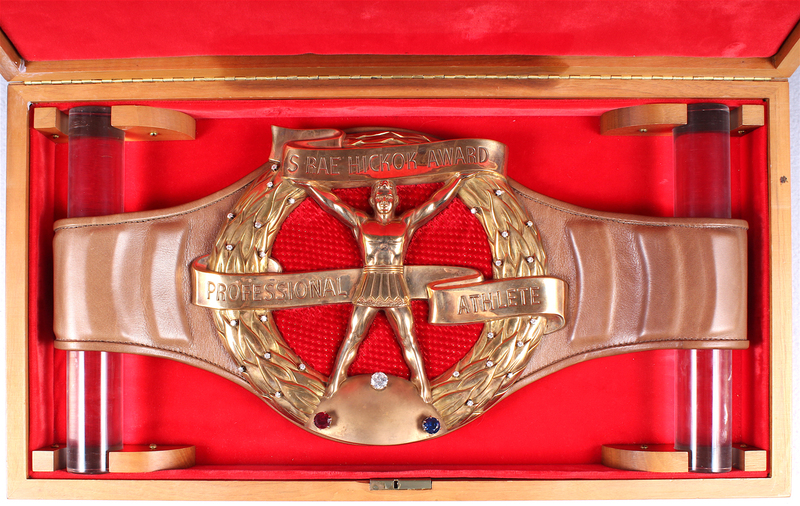 Hundreds of items to be auctioned including multiple MVP trophies and the iconic S. Rae Hickok belt. Former University of Alabama and Oakland Raider quarterback Ken Stabler’s personal collection of awards and sports memorabilia has been made available for auction online. From now through August 14th 2016, Ken Stabler’s collection will be available for viewing and bidding on pristineauction.com. On the cusp of Ken Stabler being inducted into the National Football League Hall of Fame, items and trophies commemorating his biggest accomplishments are available to the public. The highest value item in the collection is Stabler’s S. Rae Hickok belt, a prestigious award comprised of an 84 ounce gold belt buckle, adorned with 5.5 carats of diamond decorations. In addition the belt buckles contains a 3 carat diamond, a 3 carat sapphire and a 3 carat ruby. This is the first complete Hickok belt made available for public sale. Also included in the collection are a large number of Stabler’s trophies for winning NFL MVP in 1974, accolades from his time as quarterback at University of Alabama and a unique collection of signed memorabilia from his NFL teammates and opponents. Stabler will be inducted posthumously into the NFL Hall of Fame on August 6th. 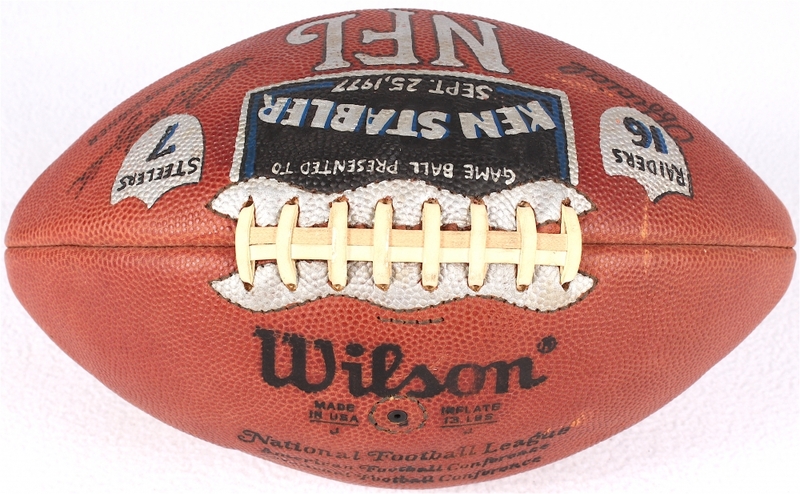 Pristine Auction worked with Ken Stabler prior to his passing and have continued to work with his family to make these items available to fans and collectors. Nicknamed “The Snake,” Ken Stabler was born in Foley, Alabama in 1945. After leading his high school team to a 4 year 29-1 record, Stabler went on to be the starting quarterback at Alabama. 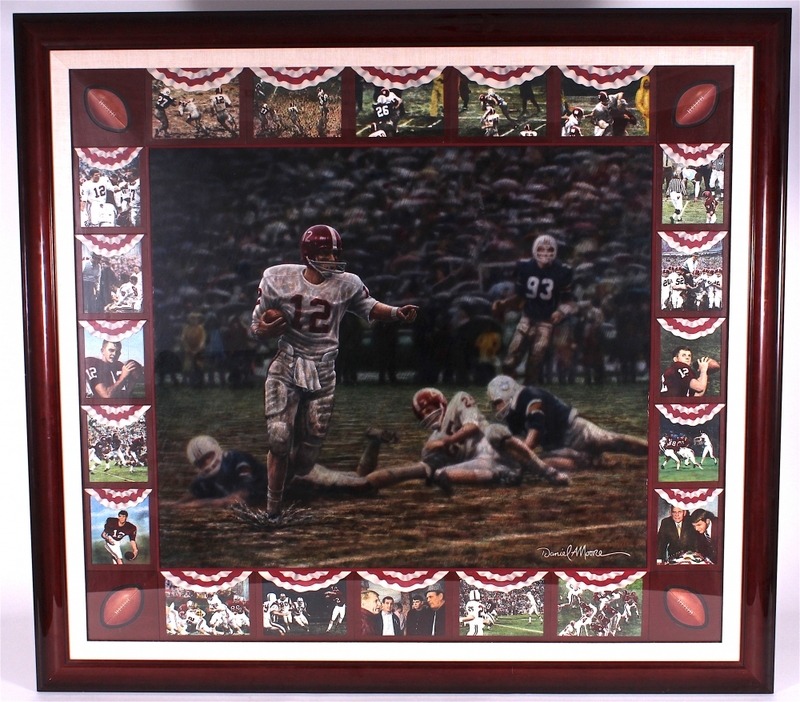 Stabler accomplished a 28-3-2 record and delivered an iconic Alabama moment in the 1967 Iron Bowl, the “Run in the Mud”. After college, Stabler would go on to play in the NFL for the Oakland Raiders, where he won the NFL Most Valuable Player award in 1974, and the 1977 Super Bowl. He played briefly for the Houston Oilers and the New Orleans Saints, and following his playing career Stabler worked as a broadcaster with CBS. Stabler also started the XOXO Stabler Foundation to raise money and awareness for his community.